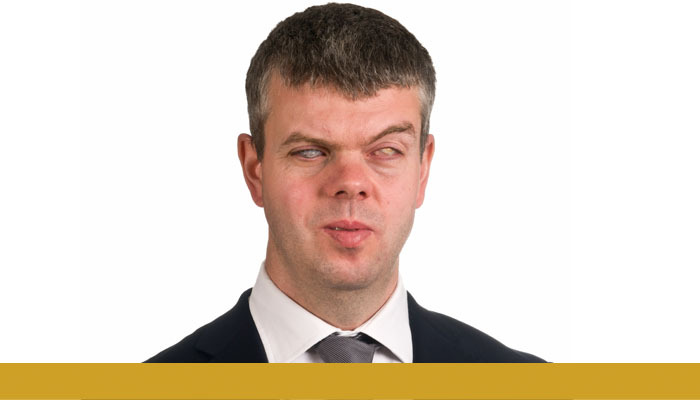 David talks about his experience of growing up with Congenital Glaucoma and working for RNIB. "My name is David Clarke and I am 48 years old. At six months old, my mum noticed that I reacted very badly to bright lights and my eyes were very watery. Soon after, I was diagnosed with Congenital Glaucoma. It transpired that I had no sight in my left eye and the little sight in my right eye was gone by the time I reached school age. As a young boy of five years old, I was determined to read and write like my older sisters and RNIB made this possible. I will never forget the wonderful smell as I opened up the case of my new Perkins Brailler, or the excitement of receiving braille books through the post. My sisters and I often reminisce about listening to talking books read so skilfully by the narrators who were often celebrities in their own right. The ability to read and write gave me a real feeling of independence and helped me feel that everything was possible. It’s now my job to bring the same experiences to people with sight loss throughout the UK and I could not feel more proud to be working for RNIB."